Lets move away a bit from our regular business articles. If you are not aware, I am also an amateur photographer. Have been dabbling with it on & off over last couple of years. 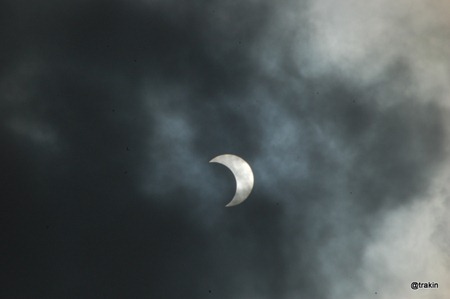 Here are some Solar Eclipse photos that I clicked from the Home Terrace. 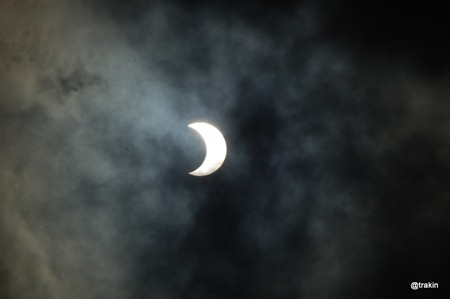 In Pune we could only view partial Solar Eclipse. It was actually quite difficult to click these, as the light was still too bright for photos to come out good. This was one of the longest Solar Eclipse you will witness. This kind of Solar eclipse last happened some 750 years ago and will happen after 1000 years ! Hope you enjoyed the images. 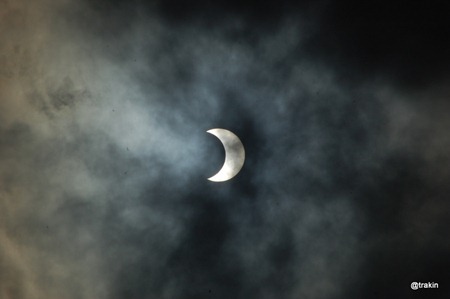 If any of trak.in readers have also clicked Solar Eclipse photos, do share with us in comments ! Tried uploading in youtube, but does not work. Thanks Rohan for sharing the film. 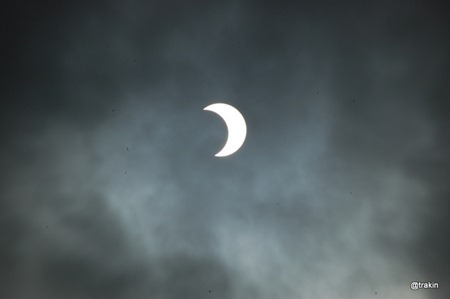 Actually x-ray is really a good way of seeing Solar eclipse…never tried doing that. It must be quite clear for naked eye to see thru x-ray..
@Rohan : Please share the clip if you dont mind :) We all would love to see it. @Arun (Author) : Nice captures. What film did you use to take the shots? I have not used any films…I took it with my Nikon D50 Digital SLR camera and Nikkor 70 – 300mm lens. You know it right…we met at the Photo walk event right? I dunno much about photography, but when I was studying for my Astronomy course, they told me to ALWAYS use a solar filter. Although I suspect that may have been because they used cameras with film & not the digital ones, I am still not sure how good the inherent filters are in a digital camera. I have UV filter attached to my camera…And what you said is true if you are going to do it at a leisure pace and for a very long time. I had kept a very high aperature at 1/32 and negative bias so as it is the light was very coming inside the camera. @Vishal: Actually, the information is half-baked, but true. Would you mind sharing it with us ROhan.. The 750 years and 1000 years story is a total myth, you see at that time there wasn’t any record of the number of solar eclipses or solar eclipses, all this has come up only due to the recent upcoming of religious programs. Even many African countries have beliefs about solar eclipses, but they don’t find anything inauspicious or unlucky like we do. Hope India’s youth won’t fall for such things. I might be wrong, I heard this information on News channels and hence put it across. However, the important aspect is the length of this Solar Eclipse. This one of the longest Solar Eclipse witnessed, I am sure about that.